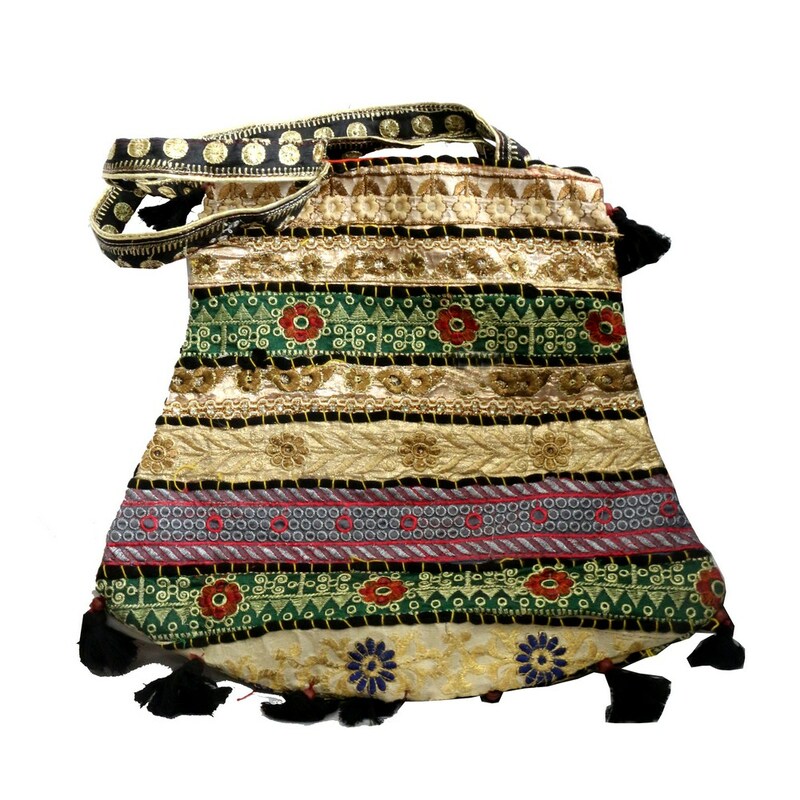 This Sheemar fabric boho bag come in unique colour combination. It has horizontal colourful broad stripes on the body. The little black fabric elements add Read More..to the beauty of this bag. It is a stylish to have in your hand while shopping or just going out for your simple errands. Show Less..